Earlier this year, these two books were released at virtually the same time. 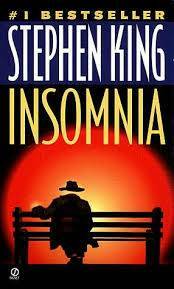 Both Black Moon and Sleep Donation depicted the results of virtually identical imagined insomnia epidemic. In fact, these stories could be describing the same epidemic, with Black Moon taking the point of view of the victims and Sleep Donation taking the point of view of the people attempting to cure the epidemic. 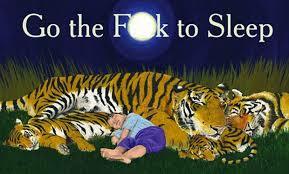 These books really capture what it’s like to experience insomnia. There is the frustration of being unable to fall asleep, the slurred speech, the hallucinations and strange thoughts, and the frustration with everyone else who is able to sleep. I didn’t find that either had satisfying endings, but I did enjoy the insomniatic world they attempted to portray. Fight Club is probably the “insomnia book” with which most people are familiar. Everyone seems to have read this book, seen the movie, or knows the rules of Fight Club. The narrator in this story deals with his insomnia in creative ways that create mayhem and bruises for everyone involved. The message seems to be that a combination of sleeplessness and boredom eventually lead to madness. Mari’s insomnia is in response to her sister’s hypersomnia (excessive sleep) and leads to strange, Murakami-ish adventures. It also involves a TV spying on her sister while she’s sleeping (which has always been one of my paranoid fears at night). 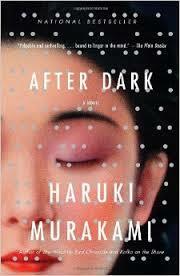 This is a bizarre book (as most Murakami books are) but at least it ends on a positive note. Insomnia leads toward relationships and adventures. This is another insomnia book with a positive ending. The main character begins waking up earlier and earlier. In the beginning, he tries all manner of sleep remedies in order to sleep longer and there is actually a lot of great information about those remedies in the book. As he descends further into insomnia, he realizes the side effects of insomnia are actually a sort of superpower. This is probably the ultimate hope for any insomniac – somehow this unbearable affliction is leading to great things. So far, it hasn’t materialized for me. On Roz Chast's CAN'T WE TALK ABOUT SOMETHING MORE PLEASANT?